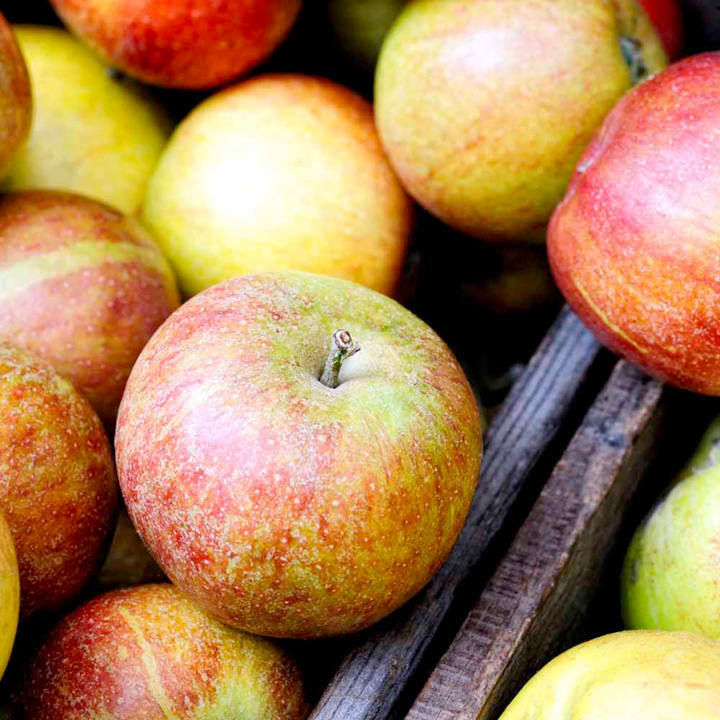 Braeburn is one of the best-selling apple varieties in Britain and can now (thanks to this earlier cropping new clone) be grown very successfully in UK gardens. Pick from mid October and store for up to 4 months without losing the superb crisp texture! Grown on M26 rootstock which produces an easy-to-control semi-dwarf tree with medium vigour. Height 3m after 10 years. Pollination group 3. (SF - self-fertile). Supplied as a bare root tree.